Nature Study can sound daunting to fit into our already busy schedules this fall. 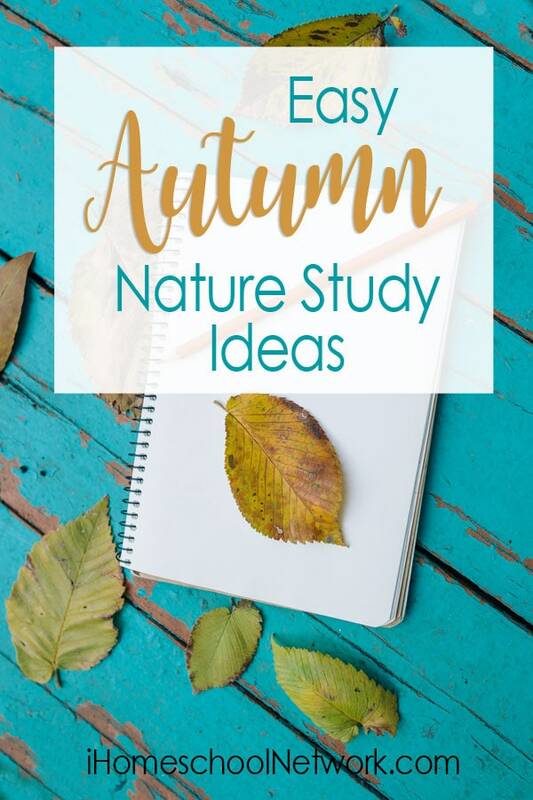 But there are ways to create an easy autumn nature study that isn’t overwhelming. Nature study plays an important role in the foundation of science for young children. It is a way for kids to explore the natural world, discover the seasons, animals, insects, habitats, and so much more. Studying nature is all about close observation, asking questions, and wondering. What sort of clouds are those? Why do leaves change colors? How do snowflakes form? Where does the sun go at night? It’s OK to not have all the answers! Just practice being open to discovering the answers your child asks and to ask questions of your own. Be a keen observer alongside your child. Field guides: Our favorite field guides include Nature Anatomy, Handbook of Nature Study, National Audubon Society Field Guide to North American Birds, and the Take Along Guides for Kids. Many people feel that to have a successful nature study, they must find time to hike or go to a park or a nearby forest. While going to these places is great and opens up countless possibilities for nature study, they are not required. Take a few minutes and start where you are! 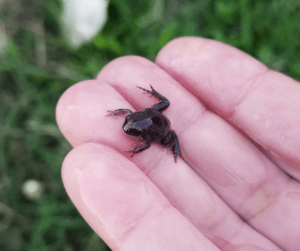 This means that you can have a quick nature study in places you are already going…. Your backyard is a great place to have nature study as it is so convenient! Observe your own flower beds, vegetable garden, and lawn. Take a quick walk around the block! We always noticed the change of seasons and the migration of birds when walking around our neighborhood. There is so much to discover if we only look closely at our environment. Museums, Science Centers, Library, and Zoos are all wonderful places to have nature study! Before you enter their doors, check out their landscaping. Most of the time there are some very unique plants or habitats to discover along with some interesting inhabitants. Even large planters filled with plants can be a subject of nature study! Books are a perfect way to learn about anything. We keep several on hand for our nature studies including Animalium, and Botanicum: Welcome to the Museum books as well as multiple library books on plants and animals of interest. Perhaps you have a bird feeder… Why not grab some books on birds in your region and see who’s visiting your neighborhood? 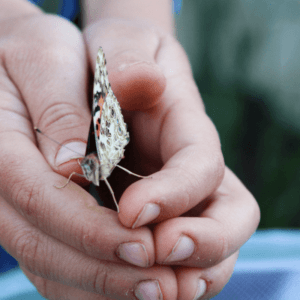 Games can also be a great way to supplement nature studies especially on those days when you can’t get outside! Why not pair your favorite nature books with some fabulous nature games? Hit the Habitat Trail is a favorite in our home for brushing up on our habitat, environment, and animal facts. Cardline Animals, Animal Tracks, Bird Bingo, and Bug Bingo are also phenomenal nature study games. There is even a FREE nature game cootie catcher printable to get your kids moving and into nature! Nature is the perfect place for kids to explore and learn about the world around them. How do you make nature studies easier? 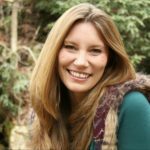 I'm Erin, a homeschooling mom to two intense kids. We are child led with a heavy emphasis on read alouds, games, art, nature hikes, and hands on science! We also traded the hustle and bustle of city life for the quiet that only farm life can provide. Though our inside space is now much smaller, our opportunities for exploration in nature and the farm has never been greater. When we're not homeschooling you'll find me curled up with a cup of coffee and a good book!